The EuroScience Open Forum (ESOF) was organised by Conference Partners in 2012. ESOF is the largest general science meeting to take place in Europe every two years. 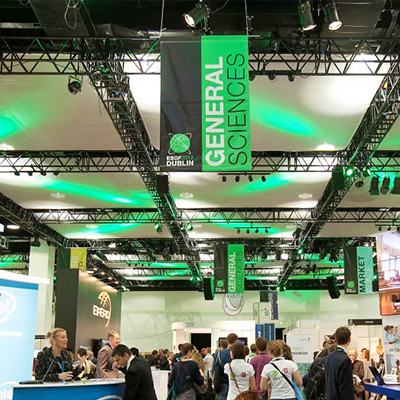 Frequently referred to as the Olympics of Science, it attracted some 5,000 delegates along with numerous renowned and distinguished speakers, including Sir Bob Geldof, Nobel Laureate James Watson and Rolf-Dieter Heuer, Director General of CERN. The main objective of ESOF 2012 was to showcase the latest advances in science and technology, promote a dialogue on the role of science and technology in society and public policy and to stimulate and provide public interest, excitement and debate about science and technology. Conference Partners met all of these objectives by successfully creating an environment in which all of the relevant stakeholders had an opportunity to convene, network and build relationships. The five day conference consisted of a science programme which included seminars, workshops and debates on the latest science and technology, a media programme to promote science communication, a careers programme for young researchers, a science in the city programme to engage with the general public and a social programme to ensure that the delegate experience was socially, culturally and intellectually invigorating. A unique aspect of ESOF 2012 was the “Science-2-Business Programme” which focused on developing the outputs of publicly-funded research into successful business innovations. The exhibition area was transformed into a “Market Place” which encouraged maximum and fruitful interaction. Conference Partners had 85 exhibitors from 25 different countries including Japan, Australia, Korea, Canada, United States, and mainland Europe. The Market Place was laid out with the exhibitors in mind; all the catering options for the entire 5,000 delegates was in the Market Place which created a consistent footfall for the entire event facilitating an ideal platform for delegates to network and forge new and existing relationships. The entire forum was used to its capacity with 990 sq. m of exhibition space.